Belize NMS: A relatively moist easterly airflow prevails. A drying trend starting tomorrow. 24-hour forecast: Sunny with a few cloudy spells today and partly cloudy tonight. Showers or thunderstorms will be isolated, except for a few more over southern parts of the country. General Outlook: For Sunday and Sunday night is for generally fair weather to prevail with isolated showers or isolated thunderstorms developing. Today E 10-20 kts Choppy-Moderate 3-5 ft A FEW SHOWERS AND ISOLATED THUNDERSTORMS. Tonight E-NE 5-15 kts Choppy 3-4 ft GENERALLY ISOLATED SHOWERS OR ISOLATED THUNDERSTORMS. Tonight E-NE 5-15 kts Light Chop-Choppy 2-4 ft GENERALLY FAIR WITH ISOLATED SHOWERS OR ISOLATED THUNDERSTORMS. Outlook E-NE 5-15 kts Light Chop-Choppy 2-4 ft SUNDAY NIGHT:- GENERALLY FAIR. 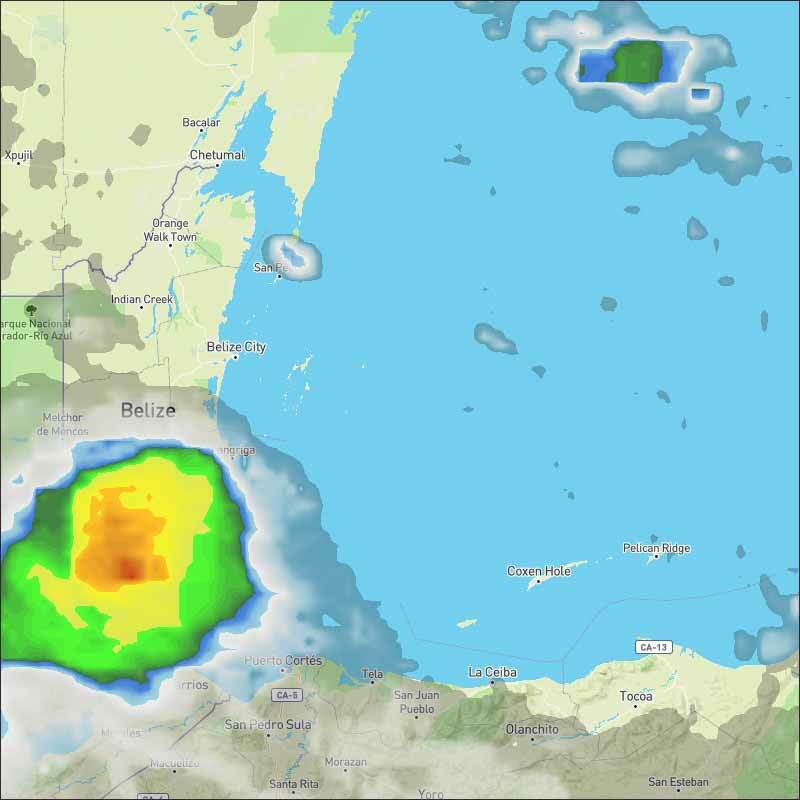 An area of upper-level diffluence near the north coast of Venezuela has been responsible for enhanced convection over the ABC Islands, Trinidad and Tobago, southeast Caribbean, southern Windward Islands and northern Venezuela during the past 24-36 hours. Currently, scattered moderate convection is noted over the NE coast of Venezuela and adjacent islands south of 12N between 64W-69W. 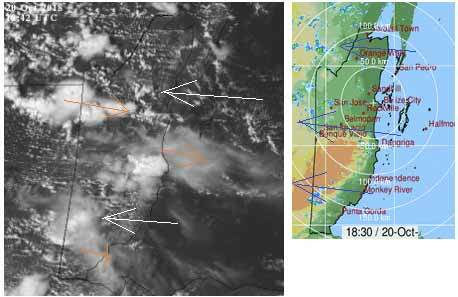 Scattered moderate convection is also occurring inland over western Venezuela and eastern Colombia. 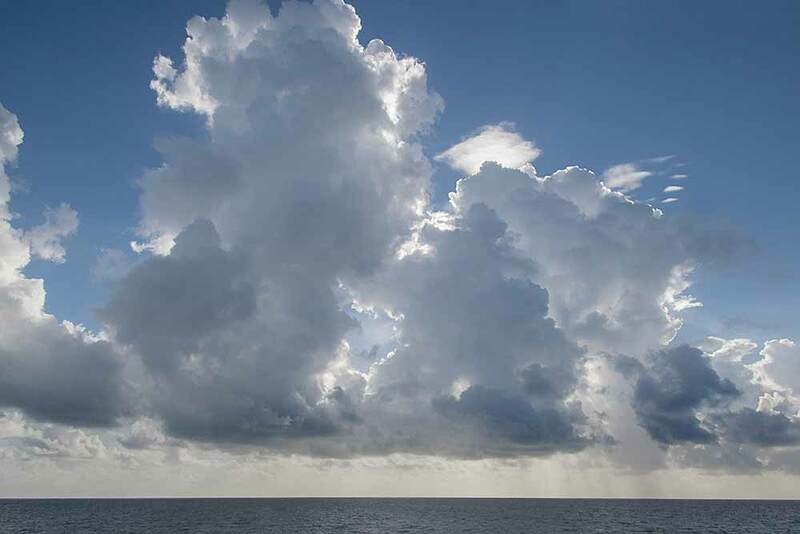 Aside from the showers related to the tropical wave currently along 79W and the monsoon trough along 11N between 76W-84W, no significant convection is observed elsewhere across the basin. Moderate to fresh trades will prevail across most of the region through early next week. Occasionally strong winds are expected near the Windward Passage, south of Hispaniola, and south of E Cuba today. On Ambergris Caye this morning the breeze is from the East at 10 mph. We have scattered rain showers . Today's expected high temperature is 88 f.
A lot less rain around than over the last few days, but there are the odd small showers around. There are clumpy patches of Caribbean easterly cloud coming in, and there is a little thin high level cloud from the NW. 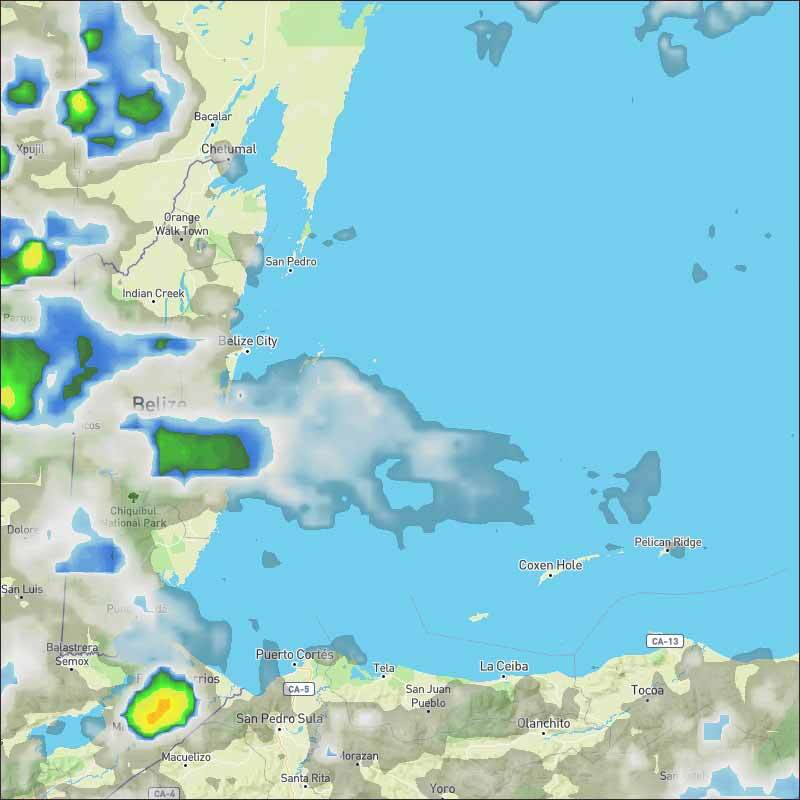 That dark blue shown over Belize is misleading, that is just thin high level, that did cause some rain earlier, but generally the skies are much clearer. Looks like to day will be sunny but with significant clouds, there could be the odd rain shower anywhere.